Also serving communities of Fort Lupton, Keenesburg. There are 5 Assisted Living Facilities in the Brighton area, with 2 in Brighton and 3 nearby. The average cost of assisted living in Brighton is $3,012 per month. This is lower than the national median of $3,346. Cheaper nearby regions include Aurora with an average starting cost of $2,871. To help you with your search, browse the 38 reviews below for assisted living facilities in Brighton. On average, consumers rate assisted living in Brighton 4.2 out of 5 stars. Better rated regions include Lafayette with an average rating of 4.3 out of 5 stars. Caring.com has helped thousands of families find high-quality senior care. To speak with one of our Family Advisors about assisted living options and costs in Brighton, call (855) 863-8283. Brighton has a fairly young population — 37,585 people live there, and the median age is 37.4. So it's not surprising that there are only two assisted living facilities within the city limits. However, with 15 more communities in nearby areas, seniors have plenty of options. The Department of Public Health and Environment, Health Facilities and Emergency Medical Services Division regulates these facilities. Seniors can view the entire 44-page Code of Colorado Regulations on the Colorado Secretary of State's website to learn more about assisted living policies and procedures. Brighton lies in both Adams County and Weld County, which received different ratings from The American Lung Association. Adams County has decent air quality with an ozone grade of C, and 24-hour particle pollution score of B. The northern part of Brighton, however, received an F and C, respectively, which may adversely affect seniors with respiratory illnesses. The average cost of living in Colorado is 16.7 percent more than the national average. However, Brighton's average cost of living is slightly lower at 15.9 percent above the national average. This means it's more affordable than the rest of the state. Seniors may find piece-of-mind knowing that Brighton has a low rate of violent crime. At 19.6 out of 100 (1 being the safest), Brighton's score is much less than the U.S. average of 31.1. Brighton's 41-inch annual snowfall is nearly double the U.S. average of 26. In January, the average low temperature falls to 15 degrees, which can make it difficult for seniors who enjoy being out and about. The summer season in Brighton, on the other hand, is sunny and hot with July highs of 90 degrees. Brighton has an array of community resources for seniors, including the Friends Program Fund, an organization that helps seniors in Brighton pay for activities and enrichment classes at the local senior center. Seniors in Brighton have access to VIA, a city bus that takes seniors to medical appointments, grocery stores and the Eagle View Adult Center for free. Assisted Living costs in Brighton start around $3,012 per month on average, while the nationwide average cost of assisted living is $4,000 per month, according to the latest figures from Genworth’s Cost of Care Survey. It’s important to note that assisted living rates in Brighton and the surrounding suburbs can vary widely based on factors such as location, the level of care needed, apartment size and the types of amenities offered at each community. 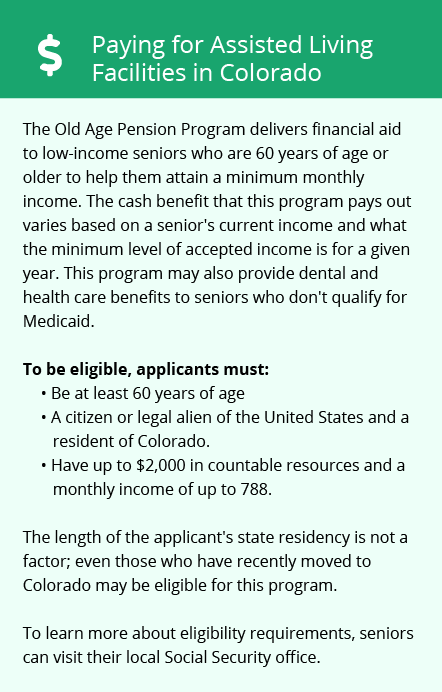 Colorado seniors looking for financial aid have two options. 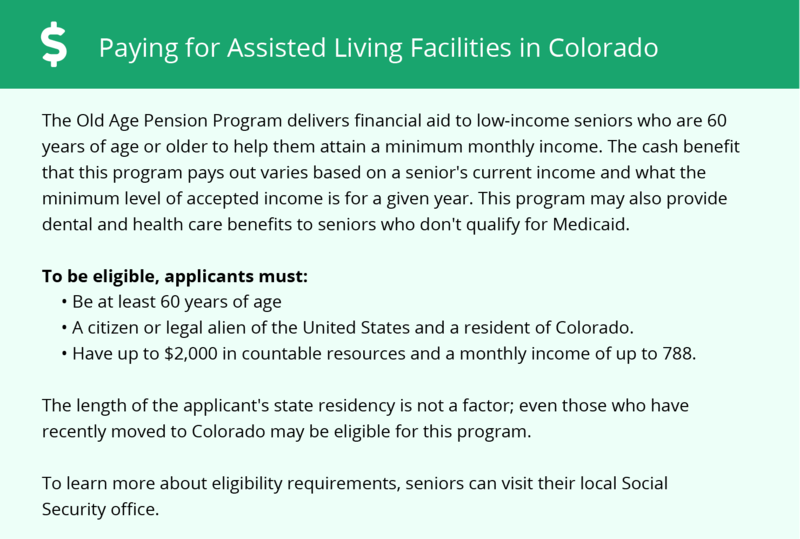 The state's Medicaid plan, Health First Colorado, covers assisted living facility costs for eligible individuals through the Elderly, Blind and Disabled Waiver program. The state also offers supplemental SSI payments to help seniors with SSI income pay assisted living costs. Learn more about these programs, plus who’s eligible, on our Assisted Living in Colorado page. For more information about different ways to finance assisted living, visit our Assisted Living in Colorado page. Brighton and the surrounding area are home to numerous government agencies and non-profit organizations offering help for seniors searching for or currently residing in an assisted living community. These organizations can also provide assistance in a number of other eldercare services such as geriatric care management, elder law advice, estate planning, finding home care and health and wellness programs. To see a list of free assisted living resources in Brighton, please visit our Assisted Living in Colorado page. Brighton-area assisted living communities must adhere to the comprehensive set of state laws and regulations that all assisted living communities in Colorado are required to follow. Visit our Assisted Living in Colorado page for more information about these laws.